If you tune into the fourth game of the World Series between the Colorado Rockies and the Boston Red Sox tonight (FOX, 5:29 MT), you’re sure to hear a couple subjects hammered into the ground, namely 1) both teams have recent experience battling back from seemingly insurmountable deficits and 2) both starting pitchers have recent experience battling back from serious health issues. The Rockies, in an 0-3 hole, a deficit that only the 2004 Red Sox have ever been able to overcome, will presumably gird themselves tonight with the knowledge that they staved off almost certain elimination from playoff contention by going on an epic winning jag that began in mid-September and didn’t end until they saw Josh Beckett standing on the mound in the first game of the World Series. As for the other of tonight’s plotlines, Boston’s starter Jon Lester was diagnosed with cancer at the end of last season, and Colorado’s starter, Aaron Cook, who has been sidelined since August of this season with a strained side muscle, had his 2004 season end when blod clots were discovered in his lungs. 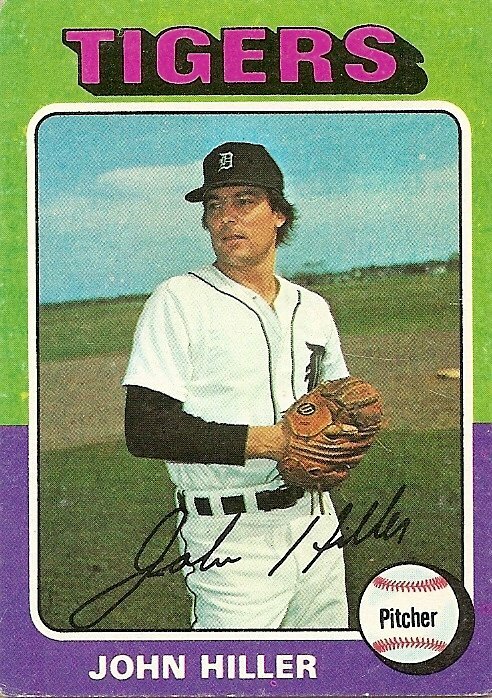 Their inspirational comebacks (which caused Clint Hurdle to gush in an article today by AP reporter Jimmy Golen that “God’s fingerprints are all over a lot of things”) follow in the footsteps of a hurler from the Cardboard Gods era, John Hiller. Hiller was sidelined for the entire 1971 season after suffering a heart attack, but in 1973 he authored perhaps the greatest season any bullpen hand has ever had (his 31 Win Shares is the single-season record for a reliever). We never know when we’re going to be struck down, so I guess we should never believe we’re doomed, no matter what the circumstances, because, you know, who knows? You are currently browsing the archives for the John Hiller category.